The 20th FIDE World Senior Chess Championship is set to take place from 26th October to 6th November 2010 in Arco – Trentino, Italy, under management of FIDE, Fsi, Cristina Pernici Rigo and the town of Arco. All male players must have reached their 60th Birthday by 1.1.2010 and all female players must have reached their 50th Birthday by 1.1.2010. The Championship will be played over 11 rounds of the Swiss System. The time control is 90 minutes for the first 40 moves followed by 30 minutes for the rest of the game with an addition of 30 seconds per move starting from move one (FIDE rules 2006). The title of “Grandmaster” will be conferred to the winner of the 20th FIDE World Senior Chess Championship 2010 who will receive the Gold medal. The second place will receive a Silver medal, the third place is awarded a Bronze medal. The same rules for the medals award are applied to the participating women players, who play separately within their own tournament. The reigning European Senior Chess Champions WGM Tamar Khmiadashvili and GM Vitaly Tseshkovsky, and 2009 World Senior Champions GM Nona Gaprindashvili and GM Miso Cebalo, also compete. 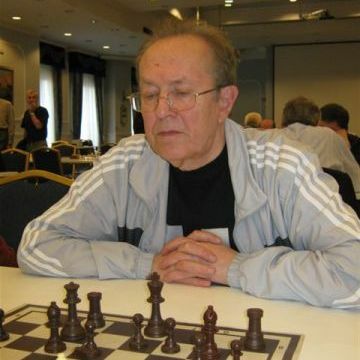 Photo gallery from the 2010 European Senior Chess Championships.